Jose has been an essential part of our pressure washing / window division for nearly 10 years. He manages techs in the field, supervises all of our large pressure washing projects, maintains equipment and provides excellent customer service to our clients. 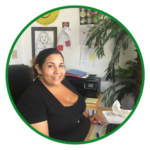 Michelle is our Ft. Myers Division Field Manager with over 20 years experience in customer service and in the cleaning industry. She became part of the New View family in 2008. 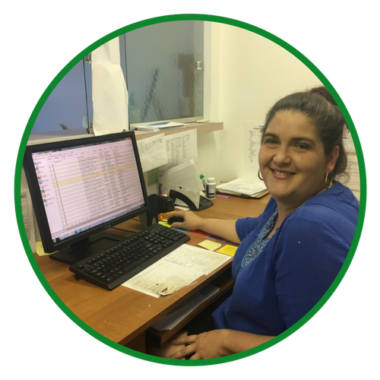 Duties include supervising teams in the field, quality assurance checks and serves as the direct line of communication with clients in the area to the office. 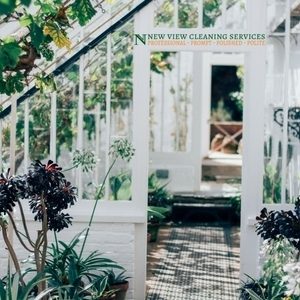 Gabriella started with New View Cleaning Services in February 2019. Dirt doesn´t hide from us. Window Washing - Pressure Washing - Regular Clean Ups. Get the dirt, grime and spider webs off your roof, house, driveway, windows etc. 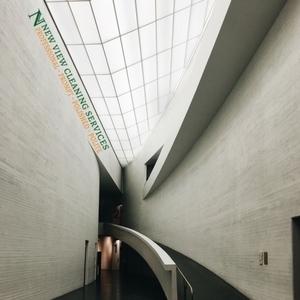 Daily cleaning, weekly cleaning, or monthly cleaning: set up a schedule through us to maintain your houses beauty and cleanliness. We’ve been handling clean up duties for Construction Crews at Residential and Commercial Properties since 1994. Since 1994 we have been trusted for a variety of services, including Home Watching. We follow the orders you prepare, every time we check up on your property. Set up a schedule through us, weekly or monthly, to watch your home while you are away. during a very stressful time. You are a real pro! We recently used New View to power wash our lanai and the windows in the lanai. They did a fantastic job. I couldn’t be more happy with their work. I will definitely utilize their services again. Been using them for a year since we closed on new home…they effectively remove all spider webs/nests…they even somehow get the hornets nests 15 feet up, all without stripping off the paint…renewing for another year. Worth the money! Just got to the house late last night, gave a walkaround this morning. Your guy did a fantastic job all around, especially in the entry foyer with the 15 foot ceilings where the hornets make their mud nests. In the past, your guys got the mud packs off, but there was always this dull mark, and I had to put a paint brush on a pole to get up there and touch up the spots (not that I minded). Anyway, your guy got the mud off, PLUS the marks. I’d swear he painted over them if I didn’t know better. New View is the only roof cleaning company that my roofer will recommend. Anyone can say they can pressure wash your roof, but that doesn’t mean they know the correction pressure to use, the right method, the best cleaning solutions, or even how to walk on your roof safely and without damaging tiles or shingles. I have been working with New View for a few months now. They provide excellent service and at affordable price. I will continue working with and using them and will recommend them to everyone I know. 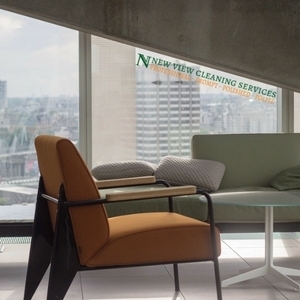 This is just a short note to express that once again we’re extremely pleased with the quality of the work performed by New View Cleaning Services. The roof, pool cage, deck and windows look brand new and the work was performed with absolutely no disruption to ourselves. “A” came out to clean my windows this morning and he did a great job, you can send him again next time. I was very happy with the husband wife team. Very had workers and very nice. Will be very comfortable with them coming when I am not here. They are so appreciative for how much New View have done for them. Happy and appreciative employees say a lot about the owners. Have passe the information about your services to some others in the building. Have used you for window cleaning but not for condo cleaning before. Appreciate your first class services and nice employees. We really appreciate everything that New View continuous to do for us. Thank you for being one of our best trade partners and always striving to do better. Thanks again! 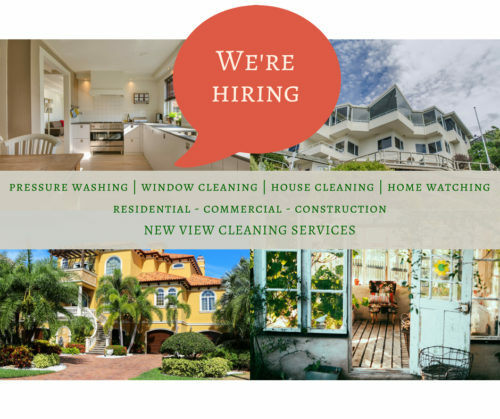 I just wanted to share with everybody, that I found the best Window Cleaning/Pressure Washing company in Sarasota. The best thing is that the guys who work for him are extremely professional, polite and they ask you to check the work to see if you are happy before leaving! House looked GREAT!!! They did a fantastic job in such a short amount of time. L and V are doing a great job! R did a great job on windows….thank you! K did a great job on the house… thank you! We referred you to seven more residential clients and one commercial client. The floors look wonderful! We will see your crews tomorrow and Thursday. Thank you so much for yesterday. M and his coworker were wonderful. GREAT JOB! You have very nice young men working for you. Thank you. It is a reassuring to know I have your organization to help with this house and certainly appreciate the organized manner of your business and the efficient communication. Being one of your clients has relieved much of my worry about this house. Thank you and just to let you know they did a really nice job! Thanks again for prompt service. I cannot tell you how amazing our house looks and smells after the wonderful work of your power washing team. I told them they really worked magic! I am so happy I found you all and know I will use you in the future. They were both so nice and friendly and came with big smiles on their faces. We are always looking for reliable people to join our team. We can be a place for people to work for many years, and we can be a place where you work while you transition to a different career. We can be a place where you work full-time or part-time. Professional | Prompt | Polished | Polite is our work-standard. Fill out our online application form and we will get back to you.